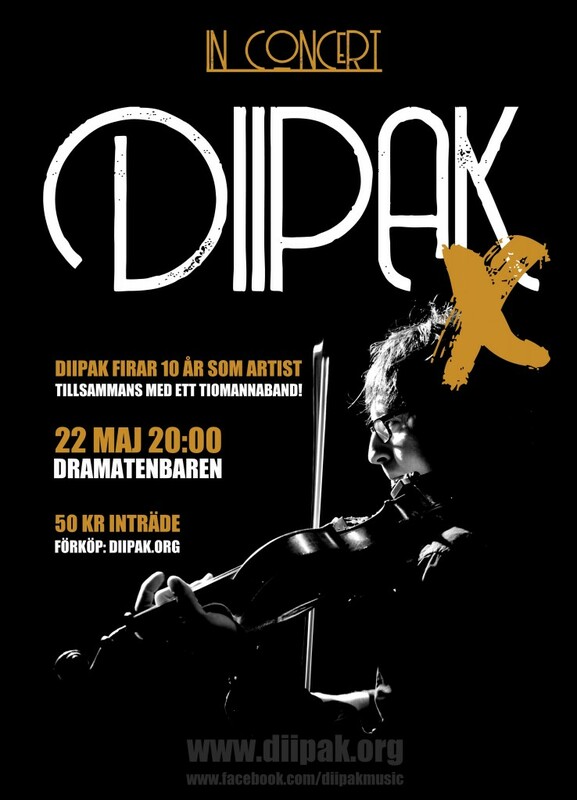 On July 9th, Diipak will play an acoustic concert at Izzy Young‘s legendary Folklore Centrum, formerly known as the Folklore Center. The FC opened up in Greenwich Village in the 1950’s and is where a plethora of artists played their first NYC shows, including Bob Dylan and Joni Mitchell to name just 2. Izzy packed up and moved to Sweden in the 70’s where he re-opened the FC where he continues to run it at 90 years old!(!) Show will start at 4 PM and costs 100 kronor. So get yer calendars out and don’t miss these 2 unique shows! Filed under News |	Comments Off on 2 upcoming concerts!